LA-based duo Chaos Chaos is made up of sisters Asy and Chloe Saavedra. Growing up, Asy and Chloe picked up instruments and songwriting at ages 8 and 10, formed the band Smoosh and by age 14 and 16, released three critically acclaimed albums. In 2013, Asy and Chloe formed Chaos Chaos. 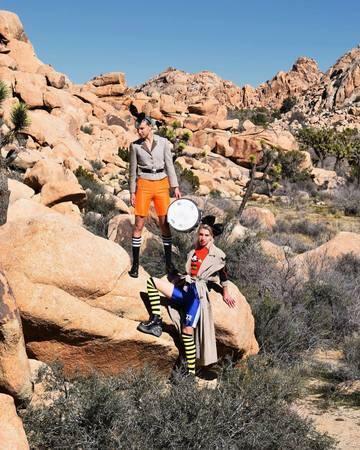 The sisters have composed music for Rick and Morty and released their debut self titled LP “a surreal dive into themes like sisterhood, estrangement and growing older” – Noisey.